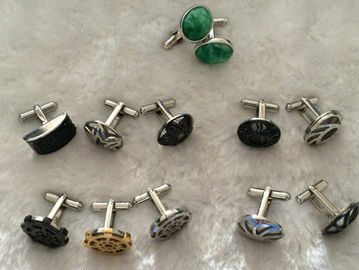 Fashion Stainless Steel Cufflinks in hammerred gridding style. Main stone: Zircon in different colors. Plated color: Rhodium, silver, gold, rose gold, black, brown, etc. Sample trial order is warmly welcomed.